It was a memorable 2018 for Rohit Sharma in limited overs cricket. He finished second among the leading run scorers in ODIs in 2018. His compatriot Virat Kohli topped the list and both of them finished in similar positions in 2017 as well. Even in T20I cricket, Rohit finished in second place and smashed two centuries, while his opening partner Shikhar Dhawan led the T20I run chart for 2018. He scored 590 runs in T20I and 1030 runs in ODIs as the Indian openers smashed 7 centuries overall in limited overs cricket with two of them coming in T20I. Not only as a batsman, but also as an ODI and T20I captain, Rohit Sharma, tasted a lot of success last year. He was appointed the Indian ODI captain for the Asia cup in the absence of Virat Kohli, and India didn't lose a match under his captaincy. Rohit was the captain for almost all the T20I series for India during the year 2018. He managed to win 8 games out of 9 that he captained, his only loss came against Sri Lanka in February. Rohit had a phenomenal year both as a batsman and as a leader. He scored two centuries in 2018 in T20s. The first one came against England at Bristol where England scored 198 runs batting first in the 3rd match of the series. Chasing a target of 199, India lost both Dhawan and Rahul early, but Rohit, along with Kohli, ensured India chased down the total in 18.4 overs. This was Rohit's third T20I century and he equalled Colin Munro's record. A few months later, Rohit smashed one more T20I century in the home series against the Windies. Rohit lost the toss and the visitors asked India to bat first. 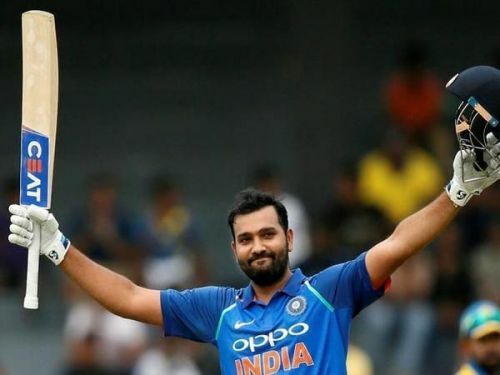 The openers shared a century stand and Rohit Sharma became the first cricketer to smash four centuries in T20I history. Rohit Sharma ended the year with three 90+ scores in T20I cricket. He missed the century against Ireland by three runs otherwise he would have ended the year with three centuries.